Sensitive and accurate test kit for measuring KH and/or alkalinity concentrations in ponds and aquariums. 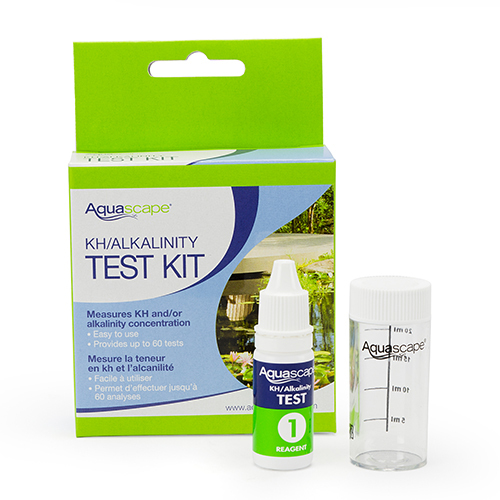 The Aquascape KH/Alkalinity Test Kit provides laboratory quality testing that is simple and easy to use. Carbonate hardness or KH and/or alkalinity have an intricate relationship with pH, calcium, and the buffering capacity of pond or aquarium water. It is also important for determining or optimizing the effect of the Aquascape IonGen System.